Chances are you have and it had nothing to do with how bad you wanted it and everything to do with your approach to achieving the goal. 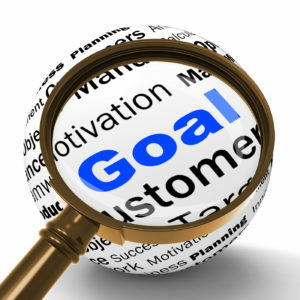 What I am going to discuss below is a detailed approach on setting goals. If you use the approach I discuss below you will greatly increase your chance of achieving the goals you set for yourself. When you are setting a goal it is very important to divide it up into stages: the long term goal, short term goals, weekly goals and daily goals. The ultimate goal you set will be considered your long term goal (6mo – infinity). This goal needs to be somewhat realistic but out of all of the stages it can be the least realistic. Your short term goals (1-3 month range) will serve as checkpoints that lead you to your long term goal. Weekly goals (IMO the most important stage of goal setting) should focus on different aspects of your goal that could benefit from a weekly reminder or weekly ‘check in’. 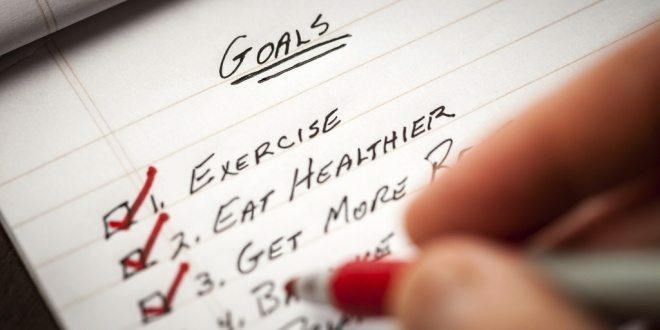 Your weekly goals should be very realistic goals that will help keep you motivated. Daily goals will re-focus you every single day and help you push through those tough weeks when nothing is going your way. I am using fitness and health related goals for my examples because they are easily quantifiable and most people can relate to them but this process of goal setting is applicable to any aspect of your life. Once you determine your goals for each stage these goals MUST BE written down. This may seem strange but when you write them down they should be in present tense. “I will lose 2 lbs a week” becomes “I am losing 2 lbs a week”. While this may seem inconsequential, it serves as a subconscious reminder to yourself and it will help keep you on track. Your subconscious only responds to commands given in the present tense. If you write down your goals in the future tense, you subconscious will do its best to keep them in the future. 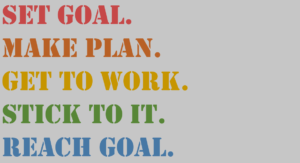 Write down each stage of goals and put them in a place where you will see them every day. Put a copy in your car, on your fridge, in your workout log book (you better have one! ), near your bed and wherever else you feel like you will benefit from seeing them. This will serve as a reminder that will keep you on track. 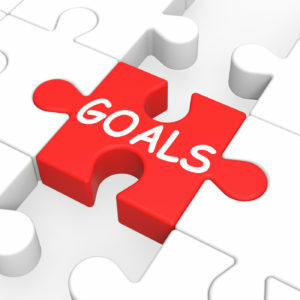 Your long term goal is the driving force behind all of the incremental goals you will be setting. All other goals, in one way or another, will all eventually lead you back to this goal. This goal must be specific and quantifiable. This goal can and should be the least realistic of the stages. A deadlift of 3 times your bodyweight or fitting back into your HS prom dress after 2 kids are good examples of goals that should be set at this stage. Will they take hard work, determination, patience and a decent amount of time? This goal must be something that once reached you will be happy with. It must be a finishing point. It is not a stop along the way and it cannot be treated as such. You are at A and you are trying to get to Z. You cannot go straight to Z and trying to will only leave you frustrated and discouraged. It is for this reason that your long term goal should NOT be something you focus on. Your long term goals will be achieved as a causational result of the small successes in your short term, weekly and daily goals. Write it down and keep it in the back of your mind but you cannot focus on this goal if you want the greatest chance of success. Your short term goals are your checkpoints on the way to your long term goal. They can be a specific distance apart from each other (1-3 months) or on predetermined dates (holidays, birthdays etc). These checkpoints should be treated as a big deal. Like all other stages, they need to be quantifiable. Your checkpoints should also be realistic. If losing those 100 lbs was your long term goal then you might set a 2 month short term checkpoint goal of losing 15 lbs. That is definitely a reasonable, quantifiable realistic goal. 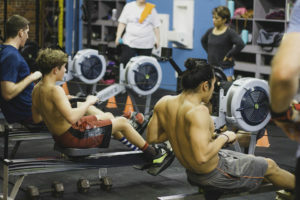 If you have the 3x BW (body weight) deadlift goal then a 3 month short term checkpoint goal of adding 30 lbs to your 1RM (1 rep max) would be appropriate. Using specific holidays or birthdays as checkpoints can also be appropriate. They are easily remembered and they can be used as little ways to reward you for your success (cheesecake anyone?). I can’t stress enough that you must celebrate these checkpoints. The more you look forward to them the harder you will work to reach them. Your success in your short term goals will be determined by how realistic your weekly goals are. Good examples are losing 2 lbs a week for a person trying to lose weight. The 3x BW deadlifter will just simply have the goal of increasing in reps or weight on the bar during each workout. Both of these goals are realistic and will keep you on track towards your short term and eventually long term goal. These weekly goals are extremely important in the grand scheme of things but there will be times when you won’t achieve your weekly goal so do not let this discourage you. Sometimes life gets in the way and that is completely understandable. Women have their monthly friend that can cause some pretty extreme shifts in water weight that will mess with scale weight. Sometimes you just have a bad week in the gym and progress will stagnate or even regress. Each week and each workout you are given another chance so don’t let last week’s disappointment affect this week’s progress. Last week already happened and dwelling in the past will get you nowhere. If you fail to reach a weekly goal just use it as fuel for the following week. Tracking your progress will help keep you motivated in achieving your weekly goals and help keep failures to a minimum. Daily goal setting is all about mindset. 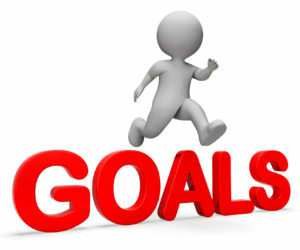 Each day you should set goals that will keep you in the right mindset to achieve your weekly goal. If you want to lose weight then making healthy food decisions each day would be an example of a daily goal. If you have a lifting goal, than giving 100% in the gym during every workout is an example of a daily goal. These daily goals will probably not be quantifiable and will be more personalized than any other stage of goal setting. Whatever you need to remind yourself about daily to help keep you on track can be considered a daily goal. These daily goals will set you up for success throughout the week. They will keep you focused and allow you to reach your weekly goals. If you are reaching your weekly goals you will see those results in your short term checkpoints. Those short term checkpoints will then lead you straight to your long term goal. It is a domino effect that will be nearly impossible if one of the stages is missing. Everyone has something they wish to achieve and anyone can set a goal but actually getting there is a different story. For every success story there are hundreds of untold stories of failure to reach that same goal. 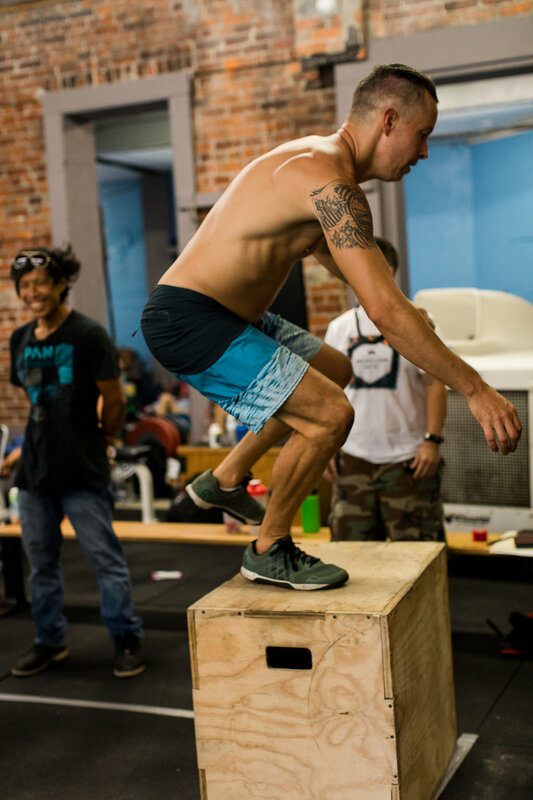 The process of reaching a goal can seem like a daunting task but when you break it down into realistic, quantifiable steps it becomes manageable. And who doesn’t like winning?? I think my short term daily goals have to be by the hour. I’m really bad at goals. Thanks for the article Josh!